Are you looking for personalized tour which would take you anywhere you want to go within Ontario and Quebec? Escape Tours is here to make your trip an affordable and enjoyable experience! Visit any of our major cities such as Toronto, Niagara Falls, Montreal, Quebec City or a combination of cities or create your own custom tour based on what you wish to see. ​Based out of Toronto, Canada, we have been providing customized Ontario tours and Quebec tours to satisfy travellers from all over the world for over 10 years. Whether you are interested in our customized packages or looking to design your own tour, we are here to help you with all of your travel needs. We have tours to Toronto, Niagara, Algonquin Park, Ottawa, Montreal, Quebec city, Tadoussac (for whale watching) and so much more! Just email or give us a call! Why travel with Escape Tours? The benefits of travelling with Escape Tours? One on one tour services. We are not a bus operator which means you will love to travel with us and the tours are more personalized to your individual needs. Small groups with a maximum of 6 passengers per booking. Your own personal tour guide. Flexibility means you get to do and see what you want. Freedom to schedule your own voyage or the liberty to adjust any of our suggested touring programs by focusing on the areas to tour which interest you most. If you are interested in touring Ontario or Quebec, or both please click here to contact us. 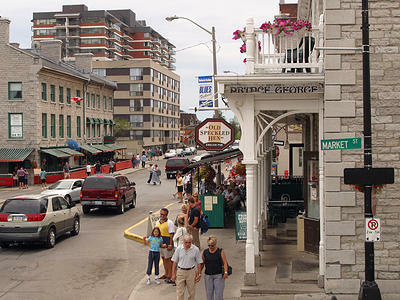 ​Come explore the beautiful 1000 islands and historic Kingston with us. ​We start off by offering a complimentary pick up from any location in the Greater Toronto area (416) or (905). ​Visit the panoramic and rugged beauty of the 1 000 islands. 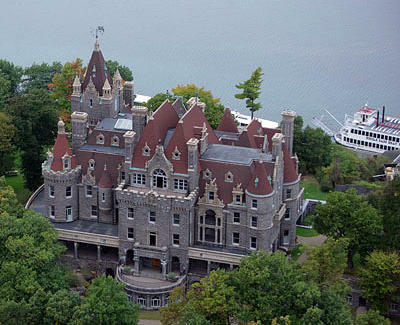 On all our cruises offered with this package, you will have the opportunity to see Boldt Castle, the shortest international bridge in the world, the “Millionaire row” and a stunning view of the St. Lawrence River. ​If you select option B, the difference for the upgrade to be paid at the end of the tour with your tour guide in cash! ​Once the guided tour is complete your guide will return you to Toronto and drop you off at any location in the Greater Toronto area (416) or (905). Please note, tour prices are based in Canadian dollars​.